International Exhibition or Local? What will work best for you? Where Your Business Should Exhibit? Before you decide to book an international exhibition or one in the UK, you must do your research. It doesn’t have to be complicated or expensive but it will make all the difference. It is worth taking a minute to think about why you need this step. Sadly we see too many businesses that get caught up in the excitement of exhibiting and miss out the research stage. The result is that they pick the wrong event, get the wrong booth location or find the wrong audience is there. Because of this, the company has very poor results and is then out of pocket. This often puts them off exhibiting at further exhibitions in the future- when better research would have given them a totally different experience. To begin, you need to decide whether you want a UK exhibition or an international exhibition venue. This will depend on your industry and where your market is located. If you only sell locally, you won’t want to exhibit at an event that is 200 miles away. The exhibition industry, like most others, has a series of professional publications that list the major events around the world. 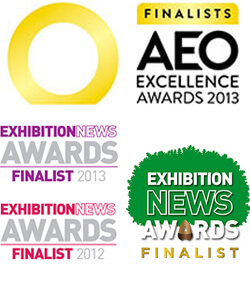 Publications like ‘Exhibition Bulletin’ will list shows by venue, industry type and time of year. This can help you see where an exhibition fits into the international exhibition calendar. So you have now reviewed why, when and where you should look to exhibit now you need think about the substance behind exhibiting what should you do next and how are you going to achieve it.